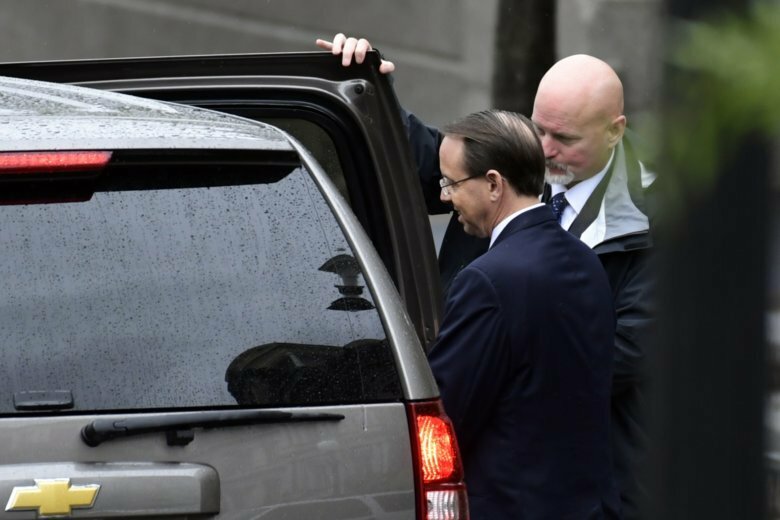 WASHINGTON (AP) — President Donald Trump said Wednesday that he would “certainly prefer not” to fire Deputy Attorney General Rod Rosenstein and that he may delay a highly anticipated meeting with the Justice Department’s No. 2 official. Trump said Rosenstein denied making remarks first attributed to him in a New York Times report, including that he had discussed possibly secretly recording the president and using the Constitution’s 25th Amendment to remove Trump from office. In suggesting that he might postpone Thursday’s meeting, Trump said he was focused on the extraordinary Senate Judiciary Committee hearing set for the same day with Supreme Court nominee Brett Kavanaugh and a woman who has accused Kavanaugh of sexual assault when they were teenagers. “I may call Rod tonight or tomorrow and ask for a little bit of a delay to the meeting, because I don’t want to do anything that gets in the way of this very important Supreme Court pick,” Trump said. Friends and former colleagues of Rosenstein say they didn’t expect him to step aside and give up oversight of Russia investigation and the enormous swath of Justice Department operations for which he is responsible. Trump’s remarks Wednesday followed a chaotic period that began Friday with reports that Rosenstein had last year discussed possibly secretly recording the president and invoking the Constitution to remove Trump from office. The Justice Department issued statements Friday aimed at denying the reports, including one that said the wiretap remark was meant sarcastically. But it could be sooner: Some officials around Trump believe Rosenstein’s reported musings about invoking the 25th Amendment could make it defensible for Trump to part with him, even during the final sprint to Election Day.